Join Rev. 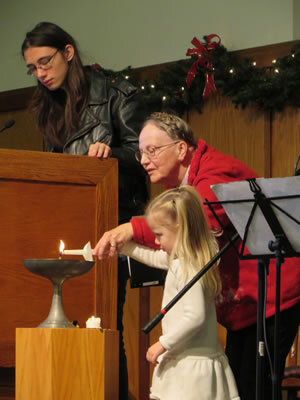 Rachel and Catherine Niessink for a simple, intergenerational service where we will celebrate and share the joys of the holidays in story and music. Nursery care will be available for the youngest children. Everyone else is invited to join us in The Commons for the service.